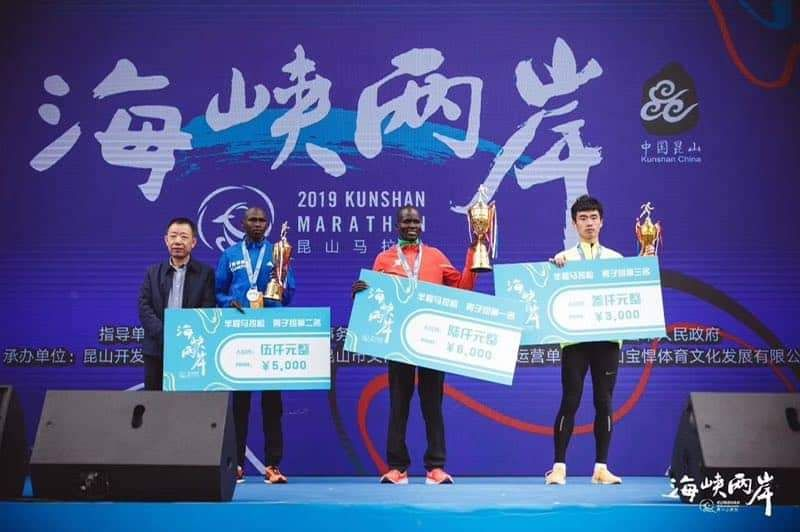 Congratulations to Xavier Project athlete Hosea Simotow for coming second out of 10,000 runners at the Cross-strait Marathon in Kushan, China on Sunday 24th March 2019. This follows on from his success at the Beverly Round Lihu Lake International Half-Marathon in Wuxi City, China in November 2018 where he came first. Hosea is an athlete from the Xavier Project Athletes Programme in partnership with UNHCR and TLP Foundation and is currently training in Ngong, Kenya. Since meeting Hosea in 2016 Xavier Project has been working with our partners to give him access to education and a high-quality training regime at the Ngong training centre which has enabled him to achieve some tremendous performances on the field. Xavier Project is focused not only on providing educational opportunities but also giving students the chance to excel in extra-curricular activities. Under the Xavier Project Athletes Programme in partnership with UNHCR and TLP Foundation, we currently have 23 athletes who are accessing an education and athletics training whom we hope will follow in Hosea’s success.